From our good friends at Sustainafest: Come and enjoy SustainaFest’s 2014 Fall Festival! 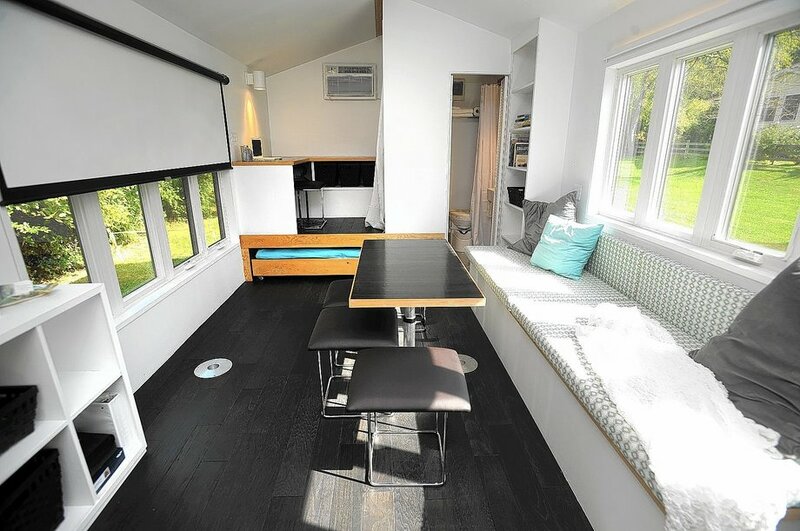 You and your family can tour the Student-Built Minim Tiny House and participate in family-friendly activities, raffles and contests. The event will be full of awe-inspiring film, impressive music by Little Bird Band, celebrity guest speaker and filmmaker, Andrew Hinton and important discussions about sustainability and making a difference in your community. Adult beverages and Food Truck food will be available as well. Don’t miss out on this exciting event and Mountainfilm in Telluride Tour Stop! Come by to see a completed Minim House (built by the great team at Sustainafest) at the Maryland Home & Holiday Show October 17, 18, 19th at the Maryland State Fairgrounds. The house is a central feature of this year’s show, and will be open all day. 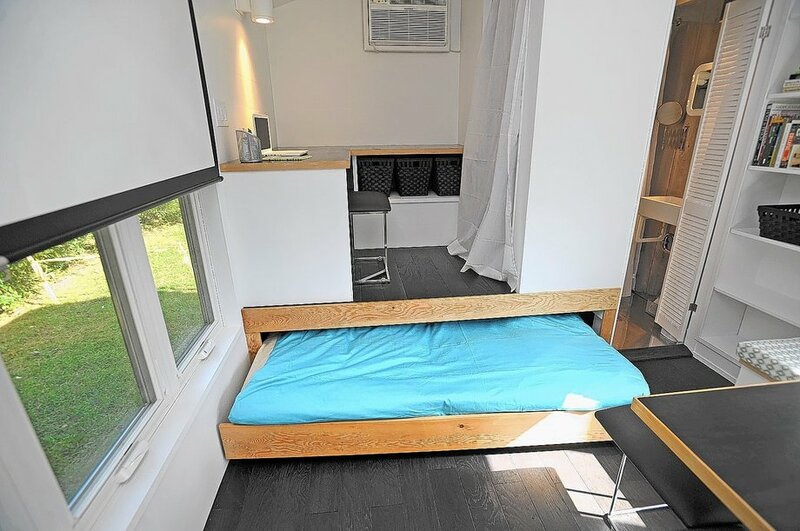 Brian from Minim Homes will also be speaking Sat and Sun on the current state of the U.S tiny house movement and reviewing some of the latest microhouse designs. Photos below. Tim and Shannon in Rochester, NY bought the very first set of Minim House plans last fall, and then auditioned for the Tiny House Nation TV show that just started airing on the FYI network. Last night Episode 3 featured their Minim House build. Great job all around! More photos of their build here. (Episode 3 is not available for free, but is available on itunes for $2.99, or online via your cable provider here). Sustainafest is a unique partnership among the sustainability experts at Council Fire, a world class sustainability consultancy; Key School, a pre K-12 school located in Annapolis, MD and Living Classrooms Foundation, a regional education non-profit focused on experiential learning. From July 7th – 28th this summer, 50+ middle and high school students from Annapolis, Baltimore and surrounding areas will join forces with military veterans, building experts, educators and the sustainability leaders from SustainaFest to take on the challenge of building the Minim House. Check out the Sustainafest Tiny House Blog, Facebook page, and ABC News story. cityLAB in Pittsburgh is a remarkable nonprofit that performs experiments with the city as their labo­ratory. Projects are chosen to seed economic development, generate buzz, and effect positive change in the city, from inside and out. In May cityLAB folks reviewed 7 different micro house designs, then voted. Minim was honored to be the chosen microhouse that cityLAB will build this year. cityLAB recently purchased plans and a vacant lot. Check out their Tiny House Journal as they progress. The Baltimore chapter of the American Institute of Architects just announced that Minim House won an Excellence in Design Award for residential design. Thanks again to the hard work of Will Couch and Matthew Compton at Foundry Architects for pulling together this great micro house design with me. Last week the DC Chapter of the AIA (American Institute of Architects) announced that Minim House was among the final winners of their 2013 Merit Award. 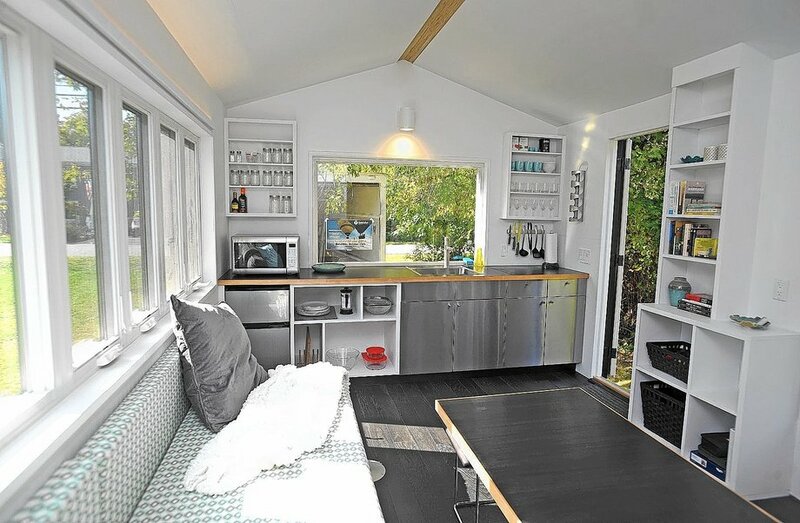 Big kudos to Will Couch and Matthew Compton at Foundry Architects, who helped design Minim, as well as all amazing folks who contributed on completing this micro house (see photo below). We’re not sure, but we think this may be one of the few (only?) trailers to ever win an AIA award, and was certainly the lowest cost project on this years AIA-DC awards roster.